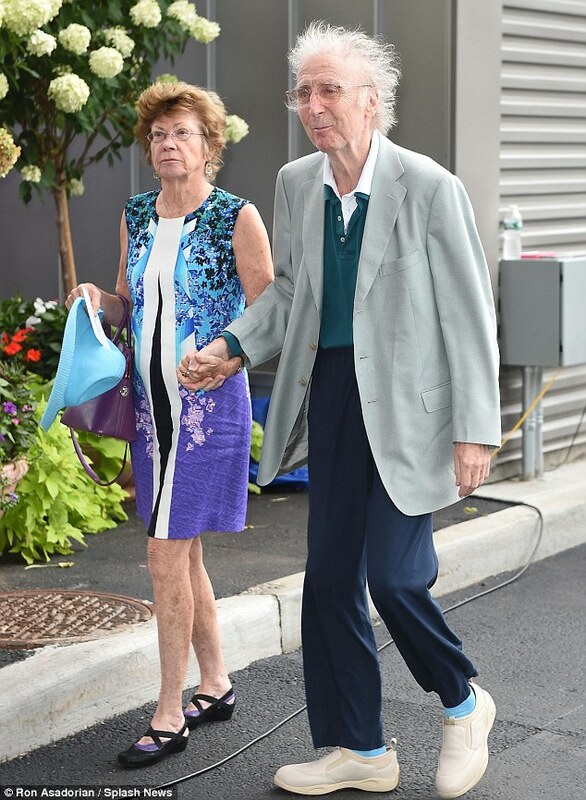 Everyone keeps posting pics of Gene Wilder with Gilda and making remarks like, "Now you can be with Gilda". Wilder has been married to Karen Boyer for the past 25 years (more than his previous 3 marriages combined) and she was the one who was by his side throughout his illness up to the very end where she was sitting by his bed and holding his hand as he passed away. So I'm posting this pic to pay tribute to her status as his wife and to pay respect to her for the loss of her love and husband. He is one lucky man to have found someone not once but twice to have loved so much. Most Hollywood actors and actress would have not stayed with one person so long. I think had Gilda lived he would have still been with her, but he was lucky enough to find someone else to share the rest of his life with.